“Run, run, as fast as you can! 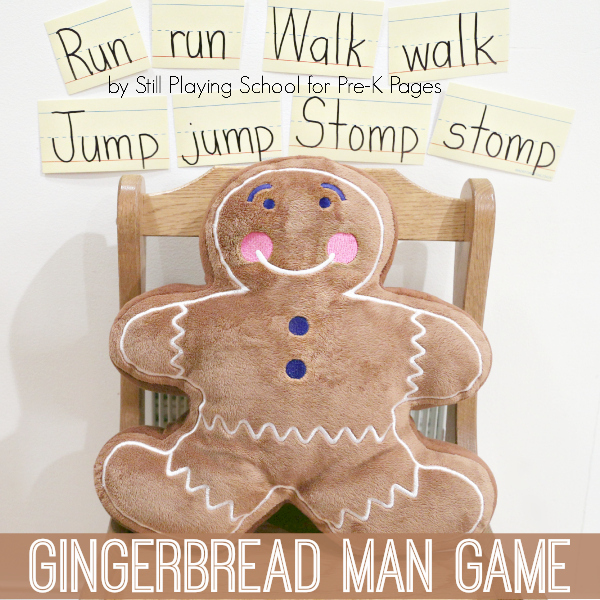 You can’t catch me, I’m the Gingerbread Man!” Turn the classic story of The Gingerbread Man into a fun and interactive gross motor activity for kids! 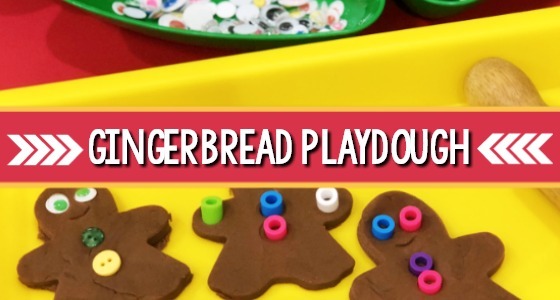 This early literacy game makes the perfect indoor recess activity for the winter, too! 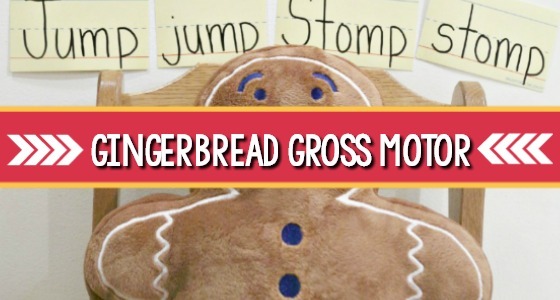 This activity combines gross motor and moving with literacy and word concepts. Incorporating movement is a great way to help kids stay engaged in the learning activity as well as make different kinds of connections. 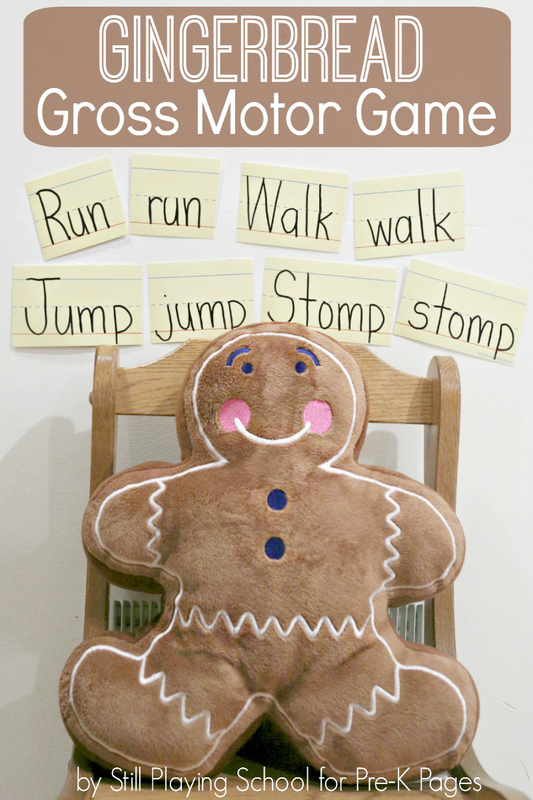 And this concept (verbs/action words) is great for adding movement. 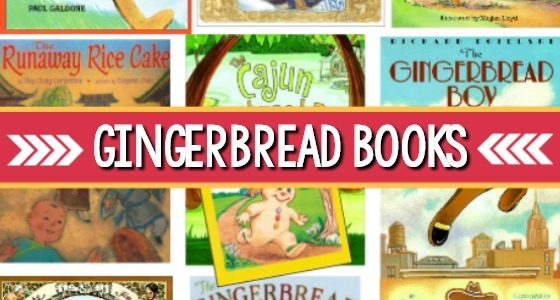 Read your favorite version of The Gingerbread Man story. 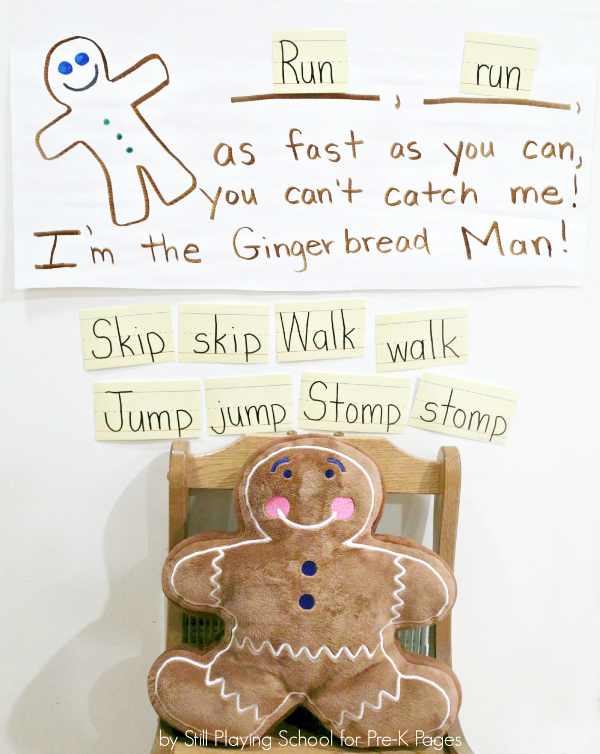 Write the Gingerbread Man’s catchphrase on your chart leaving blank lines for the verbs where “Run, run,” typically is written. 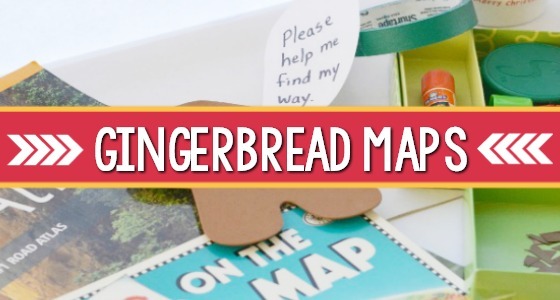 Read this text to the children who are familiar with the book asking them what is missing. 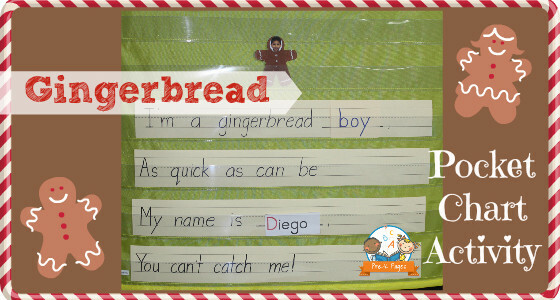 Explain that the action words (or verbs) are the part of the sentence that tell us how the Gingerbread Man is moving. In the story he ran, but how else could he move? Our kids came up with other versions of the story using the verbs walk, jump, stomp, and skip. 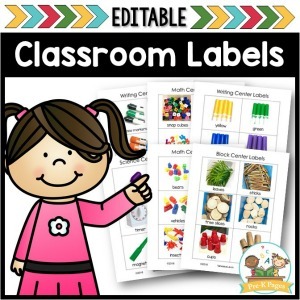 Following the text of the story, write the verbs twice each on sentence strips. Show the children how the first word in the sentence starts with a capital letter and explain that this is how we can tell which word comes first. 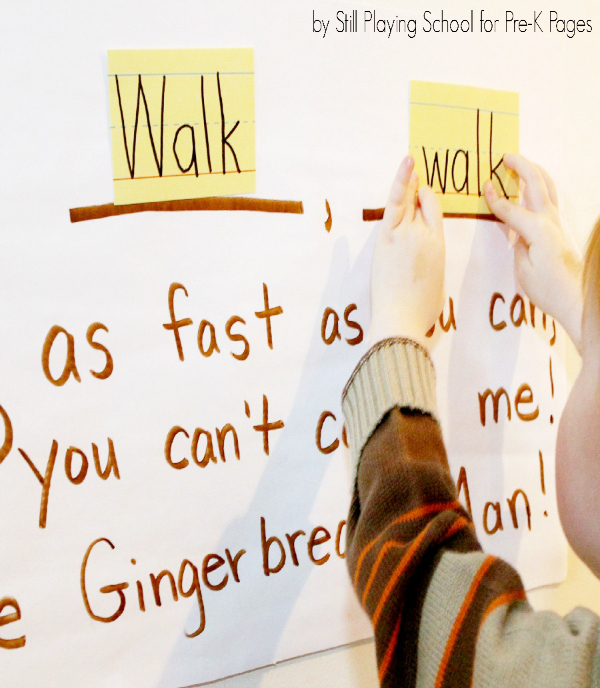 Tape up different verbs in the place of “Run, run,” allowing the kids to act out the new story. 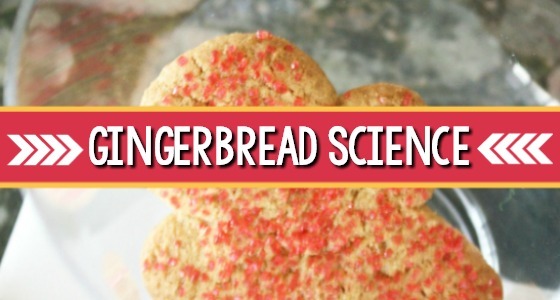 We have a stuffed Gingerbread Man who was perfect for this game. 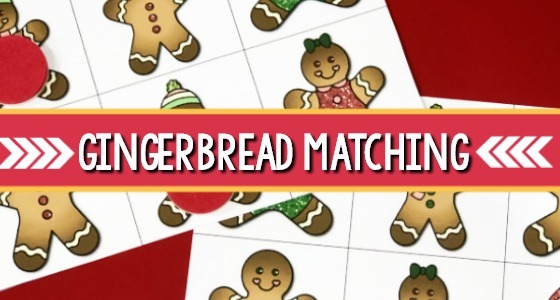 You could make one with paper or simply ask your kids to pretend to be gingerbread children! 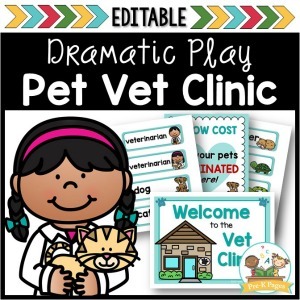 One child picks two verbs to put in the story making sure to check for that capital letter at the beginning of the sentence. The verbs can be the same or different for a more challenging game. Once the child has used their chosen verbs to complete the story, read the new version together Challenge kids to move the same way! 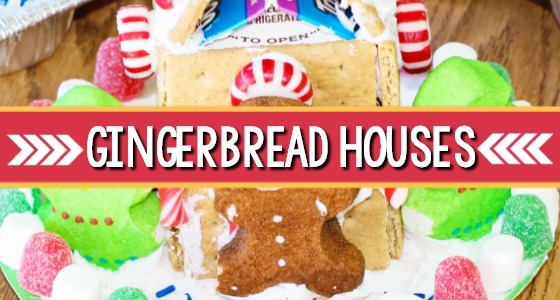 You can ask one kid at a time to move with the gingerbread figure or all kids can jump, skip, or walk from one side of the room to the other together! 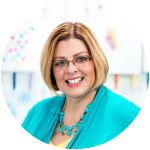 BIO: Devany LeDrew is a former kindergarten teacher who writes at Still Playing School where she shares play based learning activities. 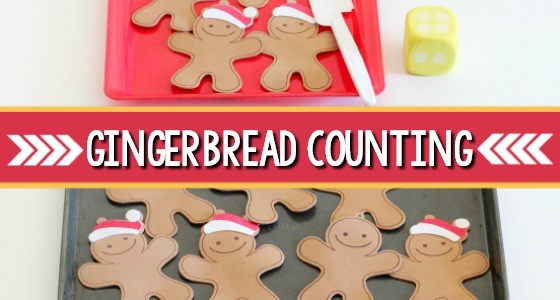 Looking for more gross motor activities? Check out Still Playing School’s Gross Motor from A to Z Series to keep your kids active and learning every day! 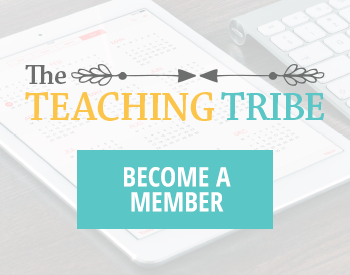 Follow Still Playing School for more engaging educational ideas on Facebook, Instagram, Pinterest, and Twitter! 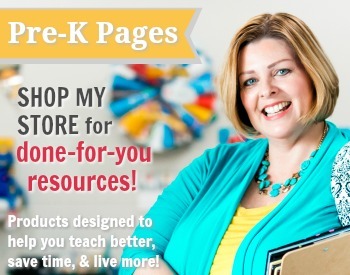 I am enjoying your pre-k program ideas. 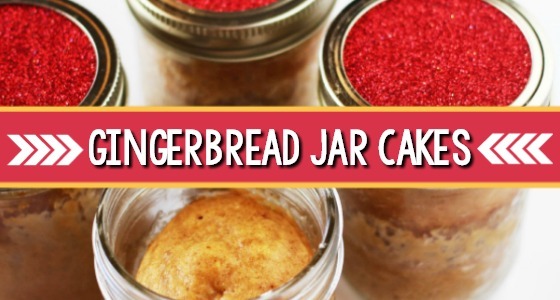 I am passing it on to the pre-k teachers. I will be willing to share the results as lessons are introduced. I love how interactive this game is. 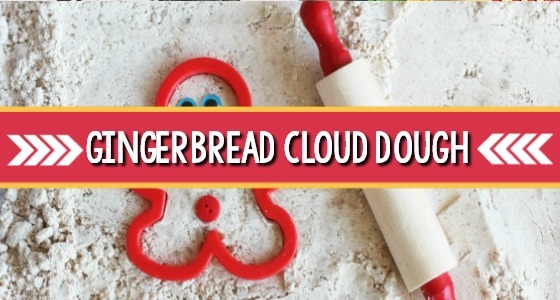 My active learner will get a kick of this one!